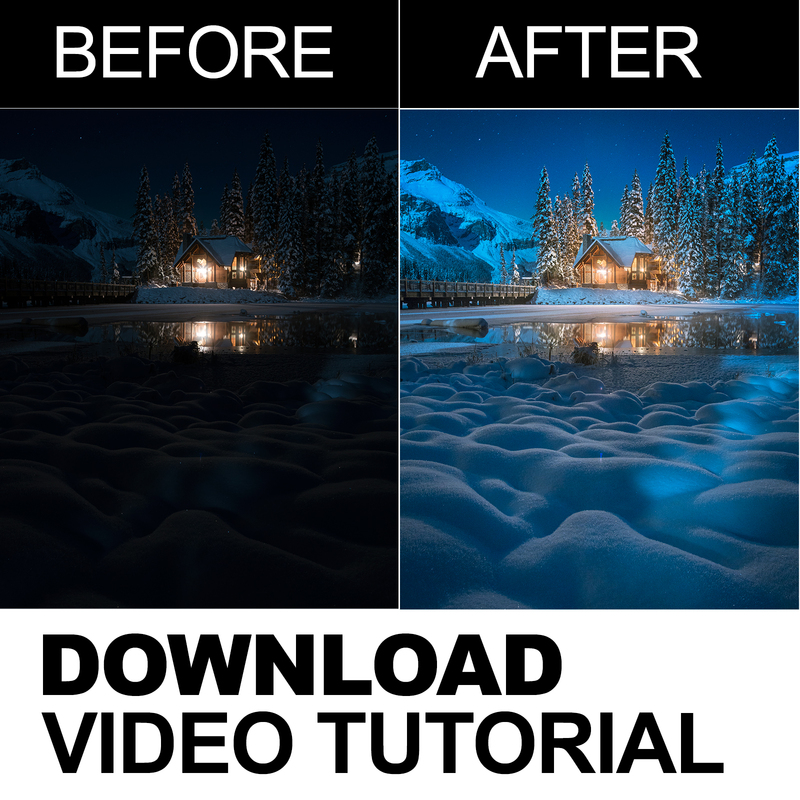 Learn how I shot and edited my popular ‘Moonglow’ image as I show you how I processed this image using Adobe Camera Raw (Same Tools as Lightroom) and Photoshop in this HD Photoshop Video Tutorial. 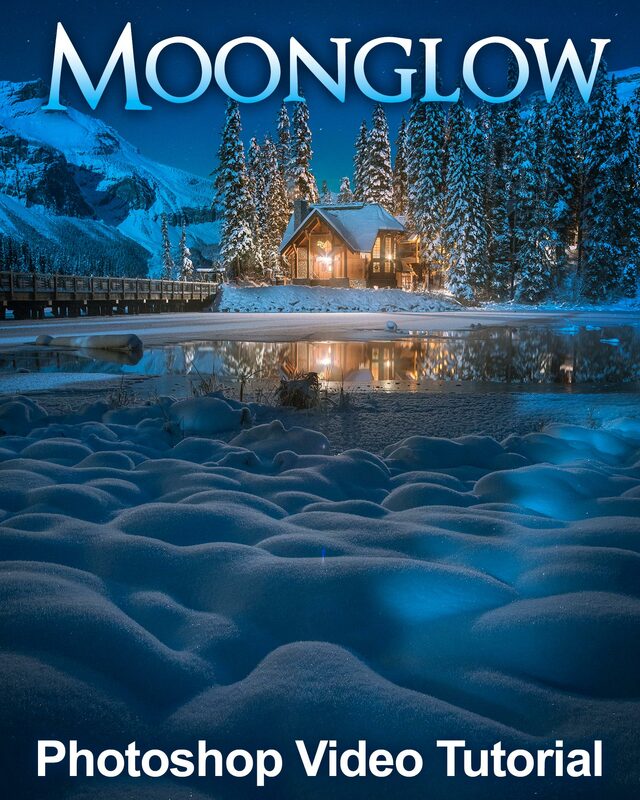 Within its first few hours of being posted on Instagram, ‘Moonglow’ quickly went viral with it’s dreamlike interplay of moonlight and lamplight. A half moon on a super clear night at -26 °C allowed me to shoot at f/11 on the Sony A7RII and my beloved old Canon 24-105mm lens. To capture the dynamic range I needed, I manually bracketed two shots with different ISO settings. I made a third exposure to focus stack for the foreground ensuring that my processed image would have sharp focus from front to back. I think the reason why ‘Moonglow’ works so well is because of the contrast between warm and cold colours. The soft, puffy foreground snow also features a lovely triangular shape in the snow which leads the eye to the centre of the frame. The unique blue hues of the moonlight have a calming effect which really adds to the winter wonderland theme of the image. Now is the time to go out there and capture your own beautiful moonscape. With this Photoshop Video Tutorial you’ll learn all the tricks you’ll need to make your moonscapes memorable. MP4 Format - Compatible with Most popular devices.